MAJOR UPDATE: Unfortunately Gary Jay will be unable to appear. This match is NOT happening at ACTION Wrestling 4. Kevin Ku will now take on Ike Cross in the ACTION Championship Qualifier. This match will be an absolute banger. This is the kind of match you would book if you wanted to cater directly to me. I could not be more fired up to be able to drop this announcement. 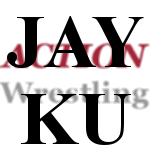 As the title indicates, Gary Jay's opponent for ACTION Wrestling 4 is KEVIN KU! Kevin Ku was one of the three guys I specifically named that impressed me over Scenic City Invitational 2018 Weekend. In that piece part of my description was, "he just comes off as so aggressive that you have to respect it and appreciate it. He did a move to the corner on an opponent, and he absolutely ATTACKED it. It's like he wrestles with a reckless abandon that draws you in." As for Gary Jay, I first saw him way back at AWE Homegrown 2016, and he was another guy I immediately became a fan of, and for a lot of the same reasons. Both have great unique looks, both guys are as rough and tough as they come, and both guys can flat out GO in the ring. I am definitely looking forward to seeing these two beat the absolute heck out of each other. I know they will because they know no other way. Now this is important to clarify...this match is NOT part of the process to name the first ever ACTION Wrestling Champion. This match absolutely will deliver though. If you have not seen one or both of these guys you are in for an absolute treat. Bloom provides safe shelter and physical, educational and emotional support to children who have been victims of abuse, neglect or other tragic circumstances, in order to strengthen them for the next phase of life. Bloom is a family-centered organization that protects, supports, and empowers foster children and the families who care for them. 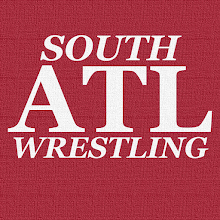 As always, when you support ACTION Wrestling you are supporting a quality wrestling promotion for quality causes. Bloom is obviously no different in that regard.